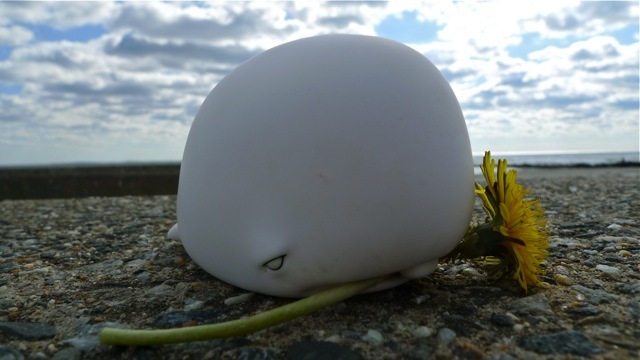 The labbits suggested to this little munko whale that he try a vegetarian diet. He doesn't seem to be too happy to be eating dandelion though. What do you think?